IVF costs in Michigan and across the nation for fertility testing and treatment can be overwhelming and often discourage couples from pursing the recommended treatment. Our fertility clinic has been working with couples for decades in an attempt to overcome this obstacle. The experienced staff at IVF MICHIGAN ROCHESTER HILLS & FLINT will strive to develop an affordable treatment plan to alleviate the IVF costs and stress associated with treatment. Please do not let the costs of IVF deter you from calling us for a consultation. ​In addition, our infertility clinic offers low cost testing and procedures including hysteroscopic surgeries at our Rochester Hills facility. Below are some of the programs available to assist in accomplishing this goal. Please contact our dedicated staff for additional information. For further assistance or to enlist in one of our programs, please be sure to talk to our experienced staff members at our locations, here. Our dedicated staff will work with you in an effort to understand your insurance plan and your coverage. If your insurance carrier is not listed on the list below, please call us. Please make sure that your insurance carrier does not require prior authorization and/or referral. It is your responsibility to obtain that referral/authorization prior to your first consultation. Fertility treatment can be tough. 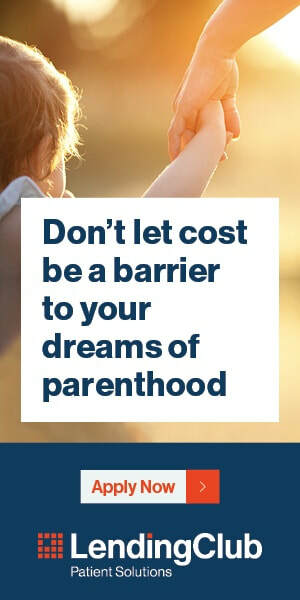 Financing shouldn’t be.At Lending Club Patient Solutions, we help make the fertility process more affordable for your patients. Patients can finance treatment, medications, genetic testing and other related services and cover the cost in one low monthly payment plan. Plans up to $50,000 allow patients to incorporate the cost of these services from multiple providers into one amount borrowed and finance them directly through our partner bank. Through our multi-payment process we can distribute funds for jointly financed cases to participating providers. All payments are made when the plan funds. Lending Club Patient Solutions works with nationally-recognized pharmacies and providers of related fertility services to simplify the process for you. For more information about the financing options available, check out the partner links by visiting Lending Club Patient Solutions (click on the link or on the image). We would like you to be aware that some pharamaceutical companies offer assistance to infertile couples facing a financial obstacle. For eligible patients, external programs and coupons such as the ones below, can provide cost-saving options for you. Furthermore, some pharmacies have also coupons available for patients going through infertility treatments.